Image 7386895: Clipboard with Project Plan Concept. 3D. 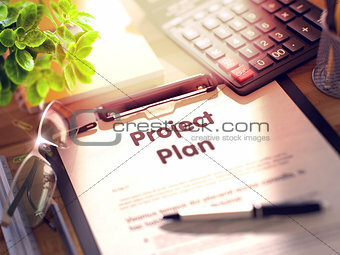 Image Description: Project Plan on Clipboard with Sheet of Paper on Wooden Office Table with Business and Office Supplies Around. 3d Rendering. Blurred Toned Illustration.